Images of the Android Powered Nikon P7700 Leak, Running Stock Gingerbread? 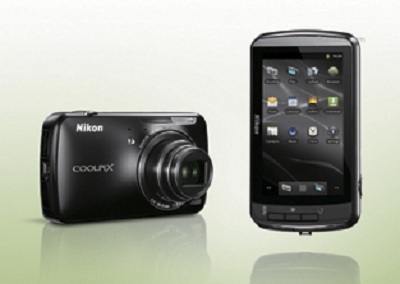 The Android-powered camera from Nikon has been receiving plenty of hype as of late. Awesomely enough, some leaked images from Nikon Rumors of the camera have hit the web and gives us a good look at what to expect from Nikon. Stock Gingerbread? When we first heard it would be running Android, we figured they would be throwing over a skin that would basically make the device purely a camera experience, but from this picture, it looks like you’re going to be able to do plenty of other stuff. We see a browser icon, contacts, calendar, and email icon. Strange. Since this is leaked, we’ll leave the jury out on this one until Nikon’s official announcement which is penciled in for this Wednesday (August 22). Either way, it looks kinda cool.